Did you ever wondered what the Big Data Hype means to us in reality? Information and communication technology, advanced network bandwidth and intelligent data analysis and prognosis enable fantastic insights into our modern society. No matter if you are collecting data within urban areas, such as the different ways Pizza delivery is taking in Manhattan on a Friday afternoon or analyzing the crop in large agricultural facilities. 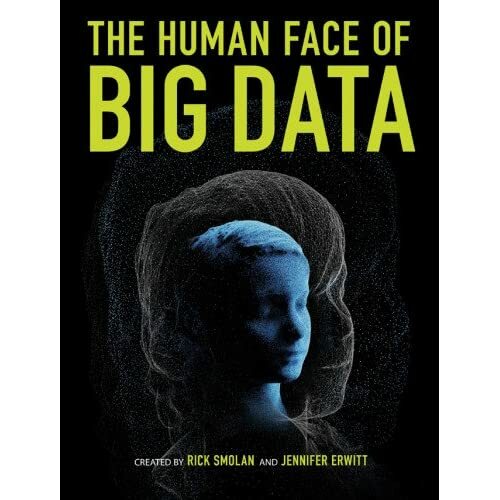 Within the book The Human Face of Big Data, the authors Rick Smolan and Jennifer Erwitt present the human and society dimension of this new hype on analysing and prognosis of all kind of information. The Human Face of Big Data captures, in glorious photographs and moving essays, an extraordinary revolution sweeping, almost invisibly, through business, academia, government, healthcare, and everyday life. It’s already enabling us to provide a healthier life for our children. To provide our seniors with independence while keeping them safe. To help us conserve precious resources like water and energy. To alert us to tiny changes in our health, weeks or years before we develop a life-threatening illness. To peer into our own individual genetic makeup. To create new forms of life. And soon, as many predict, to re-engineer our own species. And we’ve barely scratched the surface . . . This entry was posted in art, books, ebooks, network, reviews, science and tagged art, Big Data, book, Data Analysis, Data Visualization, visualization on December 9, 2012 by wolfgang. The arc map displays a 3D network structure as arcs curving smoothly above a flat map of the world. 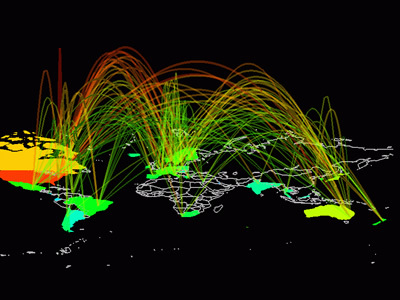 The data being visualized is Internet traffic flows between fifty countries, as measured by the NSFNET backbone in 1993. The colour, thickness and height of the arcs is used to encode the traffic statistics for particular inter-country links. The arcs are also partially translucent so as not to completely obscure lines at the back of the map, while their height above the base map is in relation to total volume of traffic flowing over a link. This has the effect of making the most important (high traffic) links, the highest and therefore most visually prominent on the map. The user has considerable interactive control over the arc map, for example the arc height scaling and translucency can be varied. The map can also be rotated and scaled, so that the user can view it from any angle. 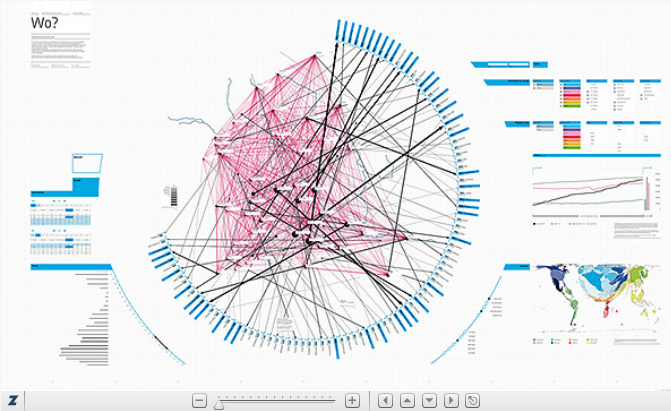 The book ‘Visual Complexity’ by Manuel Lima combines design and complexity to explain the art of information and knowledge extraction out of graphical visualizations. 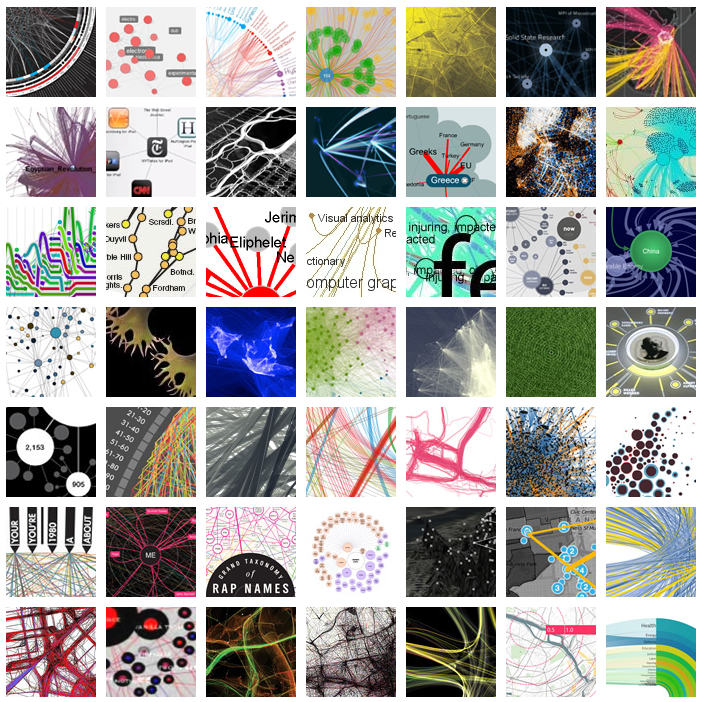 Visual Complexity presents one hundred of the most interesting examples of information-visualization by the field’s leading practitioners. 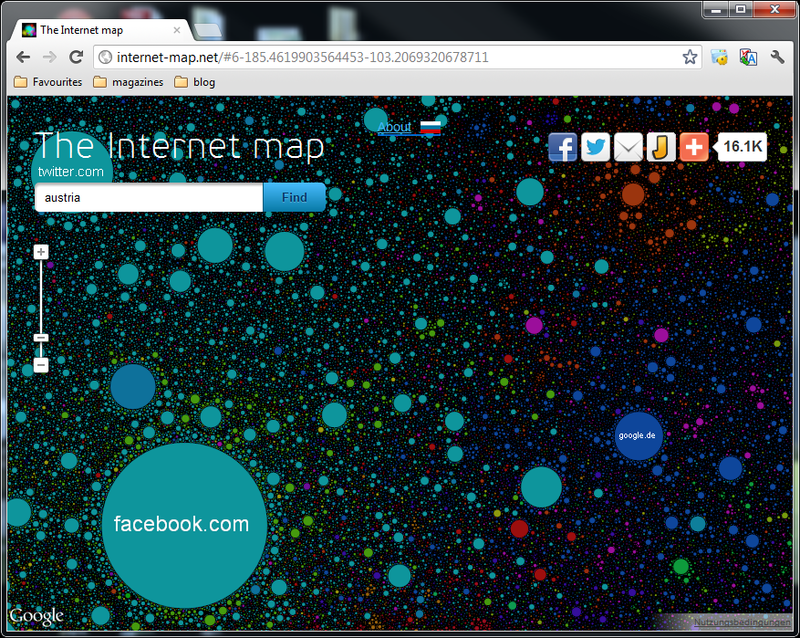 Many popular examples try to visualize Internet or social graph related aspecs, such as traffic, site links or even social connection between a huge amount of nodes. This entry was posted in art, books, display, reviews, science and tagged art, Big Data, big data visualization, commnity visualization, complex data, complexity, graph, graphics, internet map, internet maps, large data, sozial graph, visual, visualisation, visualization on August 2, 2012 by wolfgang. ACM launched a very interesting portal for getting in contact with new technologies, which is called ACM Learning Webinar. This featured talk takes a closer look at Business Intelligence (BI) and BigData and asks: “After 20 years, is it still fit for purpose? Can it deliver the type of support needed for decision-making in the next decade?” They are witnessing the birth of a new “biz-tech ecosystem,” where business and technology have become symbiotic and collaborative behavior is the norm. In this environment, decision-making is very different from what is supported by today’s BI. This webinar explores the emerging ecosystem and poses some interesting challenges for BI vendors and implementers in 2013. 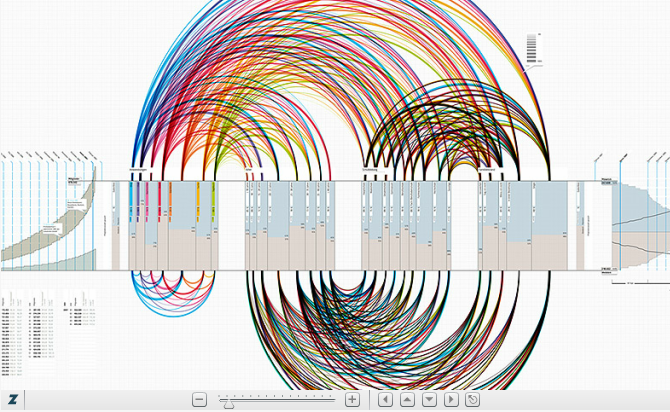 This entry was posted in talk and tagged Big Data, Business Intelligence on July 6, 2012 by wolfgang.